The modern garden design is a full complex of works for design, decorating and gardening. Landscape design offers a large number of styles for the modern garden design, their origins go back centuries. But do not forget that the modern garden design is first of all an individual project for a specific landscape and specific owner of the land, and sometimes it is appropriate to apply the combination of styles. 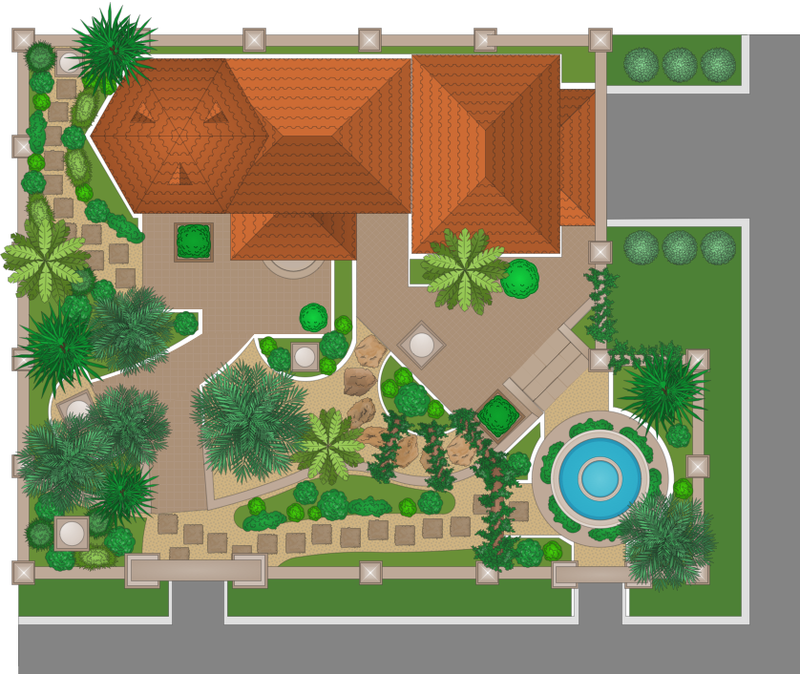 ConceptDraw DIAGRAM diagramming and vector drawing software offers the unique Landscape & Garden Solution from the Building Plans area for effective development the modern garden design. 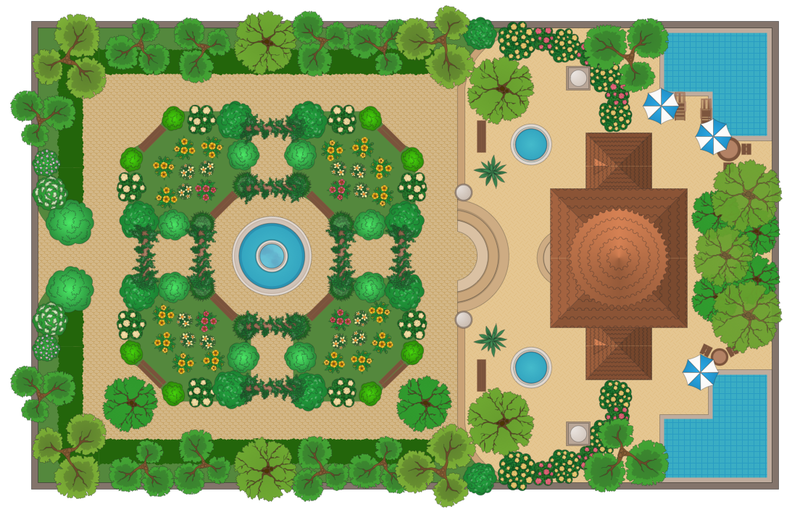 Each modern garden design plan created in ConceptDraw DIAGRAM software is colorful, bright, attractive and ideal for successful demonstration by designer to the client. Landscape & Garden Solution offers also wide variety of ready samples and examples of modern garden design. They can be useful for elaboration your own garden design which is no less important than design of the house. 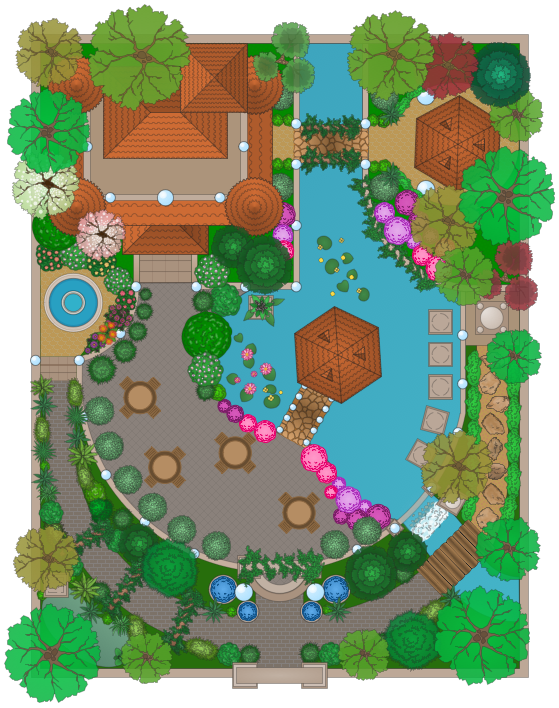 The samples you see on this page were created using the Landscape & Garden Solution for ConceptDraw DIAGRAM software and are good examples of the modern garden design. 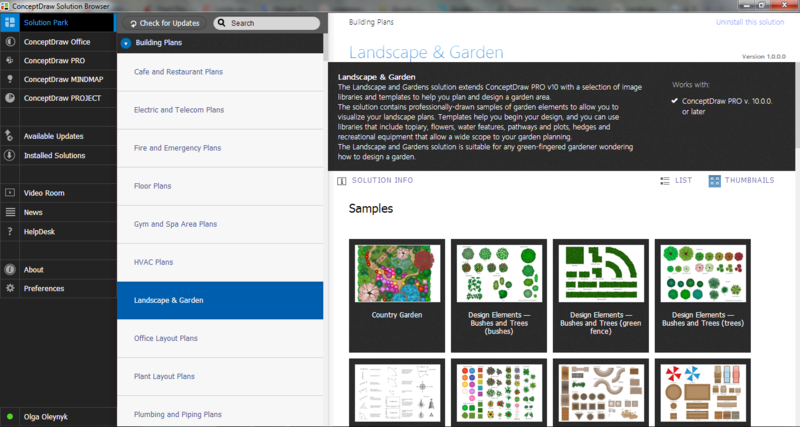 These samples are included in Landscape & Garden Solution and available from ConceptDraw STORE. An experienced user spent 15-20 minutes creating each of these samples. Use the Landscape & Garden Solution from the Building Plans area to draw your own landscape and modern garden design plans quick, easy and effective. Once you have created your document in ConceptDraw DIAGRAM v12 and you want to share it with your colleagues and friends, who uses MS Visio on their computers, you can easily export your document using ConceptDraw DIAGRAM v12 export to Visio XML files (VDX) feature. Now you can share your ConceptDraw documents with MS Visio users.